Getting a new roof on your home is no small project. It also can cost a pretty penny, which is why you are probably a bit nervous choosing a roofing contractor. Being cautious is honestly very smart when you are considering investing in something as huge as new roof. 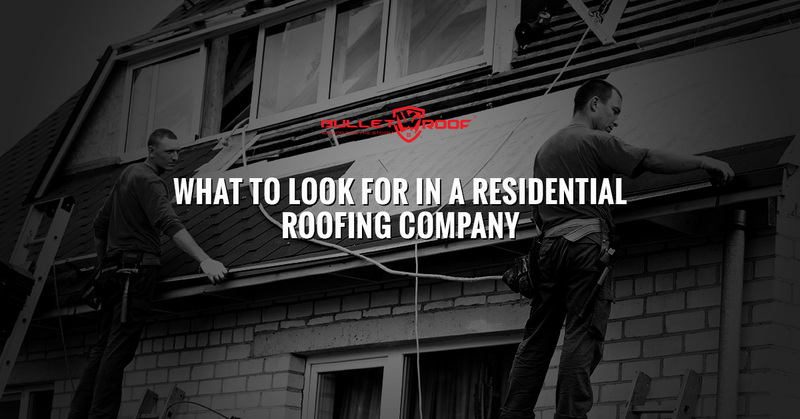 Whether you have been planning to have a new roof installed on your home for a while or an unforeseen circumstance has left you looking to find a roofing contractor, doing your research is beyond important. Finding a local contractor who you can trust and who is also professional may seem a bit intimidating, but with our help, we can tell you precisely how to do this in no time at all. Continue reading below for tips on how to protect your home and your bank account all at once when shopping for your own personal roofing company. There is no more of a reliable way to find the very best roofing contractor than to ask your family, friends and coworkers which companies they would recommend. People have no problem expressing when a company completes a job well. They also don’t tend to mince words when a company does wrong by them. A ‘word of mouth’ reputation is far more valuable than online reviews or simply asking the company themselves. Find out from those in your community who they would hire again and start there. Ask if a company has manufacturer designations. Seen as a badge of honor in the contracting industry, manufacturer designations are proof that a manufacturer has met the minimum requirements that allows them to be factory-certified. This is often a certification that matters to those who are hiring a company to replace or repair an existing roof. Look into their Better Business Bureau rating. The Better Business Bureau (BBB) can give you an accurate glimpse of the reputation of a roofing company. If you cannot find a contractor on the BBB website, avoid them at all costs. This is a tell-tale sign that something isn’t exactly right when it comes to the services they provide or the business as a whole. Make sure you can obtain an warranty. While you may think that every single contractor offers a warranty, this isn’t really the case. Even if it takes months or years for the damage of a poorly installed roof to appear, you may not be entitled to any sort of compensation should a warranty not be offered initially. Make sure they are properly licensed and insured. If one of the contractors you are considering doesn’t have insurance for all of their employees and subcontractors, then you need to move on. Not having insurance could eventually lead to you, the homeowner, having to appear in court if one of the workers sustains an injury while they are working at your home. Even if a company claims to be insured, do not agree to hire them until you have seen actual documentation that shows that they have insurance and are a licensed roofing company. Many contractors will try to have you sign a contract far before you are ready in hopes of getting you to agree to their services before you have had all of your questions answered. Don’t let a contractor convince you that it’s time for you to sign anything until you are 100 percent sure they are the company you want to complete the work on your roof. Know which company has what you want. There are many different choices you will have once you begin to plan for your new roof or your roof repair. Ensure that the company you want to hire gives you a myriad of choices so that you are able to get precisely what you want from the roof work you are going to have completed. If you live in the Lawrenceville area and you are in need of a roofing company that you can absolutely trust and who will get the job done right the first time, contact BulletROOF® today. Our team is dedicated to providing the people of Lawrenceville with the very best in residential roofing services. Don’t believe us? Just ask around, we’re sure you’ll find out that our reputation precedes us.